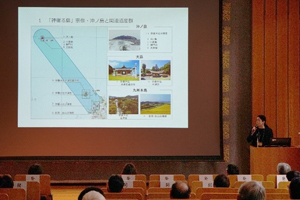 On July 30th, 2018, the above seminar was conducted at Tokyo National Research Institute for Cultural Properties (TNRICP) with ten research presentations delivered by eleven experts. Wat Rajpradit is a first-grade royal Buddhist temple located in Bangkok, Thailand. It was built at the request of King Rama IV in 1864. 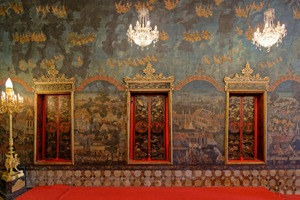 The windows of the ordination hall (ubosot) and the inner sides of the entrance doors of the Temple were mother-of-pearl with underpaint and the panels were decorated with lacquer paintings. For the mother-of-pearl with underpaint, thin strips of abalone or other shells were placed on the base material after coloring, line drawing and metal foil were applied on the reverse of the shell pieces. At the request of the Fine Arts Department of the Ministry of Culture of Thailand and the Temple, TNRICP started providing technical assistance for the restoration project in Thailand in 2012. From 2013 through 2015, two door panels were brought to Japan to conduct a detailed scientific survey and trial restoration in collaboration with experts inside and outside the Institute. At this seminar, the results of an optical survey implemented in Thailand and the interpretation of icons found in the lacquer painting patterns were also reported, in addition to the outcomes of the scientific surveys such as X-ray photography of door panels, fluorescent X-ray analysis of pigments, and organic analysis of lacquer coating film and undercoat. These outcomes identified the techniques and materials used for decorating the door panels, showing evidence that they were made in Japan. In addition, the manufacturing techniques used on these door panels and the Japanese style of mother-of pearl with underpaint that existed in Japan and Thailand were considered, while how and when such techniques evolved were also studied. The technique of mother-of-pearl with underpaint was used for a short period from the end of 18th century until the late 19th century. Its technical genealogy has not been fully clarified yet. We will continue to provide technical support for the door panel restoration project at Wat Rajpradit while conducting research and study on door panels and mother-of-pearl with underpaint in both Japan and Thailand. 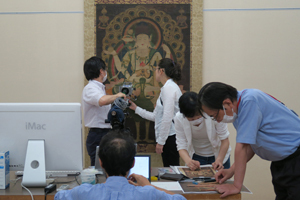 The Tokyo National Research Institute for Cultural Properties and the Tokyo National Museum (TNM) have jointly conducted an optical analysis of Buddhist artworks owned by TNM. As part of this collaborative research, we conducted an analysis of coloring materials by employing X-ray fluorescence spectrometry for the Painting of Kujaku-myo-o (Skt: Mahamayurividyarajni) and the Painting of Fugen Bosatsu (Skt: Samantabhadra) for two days from August 2 to 3, 2017. The two pieces of artwork are paintings on silk drawn in the Heian period (12th century) and designated as a National Treasure. Through X-ray fluorescence spectrometry, the types and quantities of elements that constitute matter can be identified in a non-destructive and non-contact manner. In recent years, in particular, high-performance portable X-ray fluorescence spectrometers have become widespread, and highly accurate data have become safely obtainable. The types of pigments or the compositions of metals, such as gold and silver, can be identified by the analysis of paintings, such as these two artworks. Through this collaborative research, we have obtained high-definition color, fluorescent, and infrared images of five Buddhist paintings drawn in the Heian period so far, including the two pieces for this analysis. Using X-ray fluorescence spectrometry, we have studied these images in detail and examined the colors and descriptions used in the artworks comprehensively. Although a great deal of research has been conducted on the Painting of Kujaku-myo-o and the Painting of Fugen Bosatsu from the perspective of art history, with this spectrometric technique, yet-to-be-discovered facts are expected to be uncovered. In addition, given the fact that experts from more than one realm ranging from art history to analytical chemistry and image formation have taken part in this collaborative research, there are likely to be new developments in the research of Buddhist paintings in the Heian period through cross-sectoral analysis and studies. For this reason, we will continue to promote cooperation among researchers in conducting research and moving ahead with the analysis of other Buddhist paintings in the same era as well. 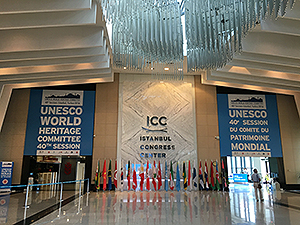 The 40th session of the World Heritage Committee was held in Istanbul, Turkey, from July 10th, 2016. 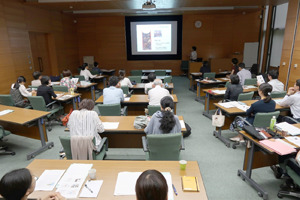 Two staff members of the National Research Institute for Cultural Properties, Tokyo (NRICPT) participated in the Committee. It was the third review of “The Architectural Work of Le Corbusier,” which includes the National Museum of Western Art, Tokyo, as one of components of the property, since the first review was conducted in 2009. 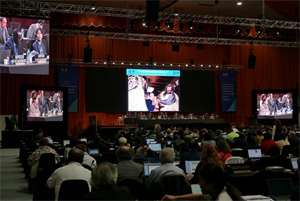 As the Advisory Body (ICOMOS) recommended that it be inscribed on the World Heritage List, expectations grew among parties concerned when the review the following day became almost certain to be held in the evening of July 15th. Owing to the repercussions of an attempted coup by the military that occurred on the night of the 15th to the early morning of the 16th, however, the session on the 16th was canceled and it was decided on the 17th that the property be inscribed on the List. 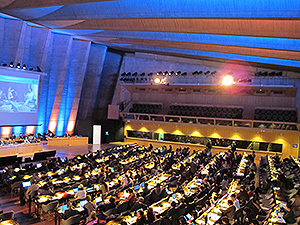 To reduce the time for discussion, the Committee Members were not allowed to comment on the sites which were recommend by the Advisory Bodies to be inscribed on the World Heritage List; thus, it was unfortunate that we were unable to hear their opinions about the Architectural Work of Le Corbusier. From this time, regarding the nominated properties for inscription on the World Heritage List, the States Parties concerned are notified of the interim evaluation made by the World Heritage Panel. On the basis of this evaluation, they can modify their nomination files for the final evaluation. There are different responses by the States Parties. While some withdrew their files, others revised them significantly to prepare for the evaluation. There were cases in which the Advisory Bodies’ negative recommendation was overturned by the Committee and it was decided that the property be inscribed on the List. Given such cases, discussions should be continued on how recommendation and evaluations are made by the Advisory Bodies. Note that although the session of the committee was scheduled to last until July 20th, it was abruptly adjourned on the 17th because of the coup. 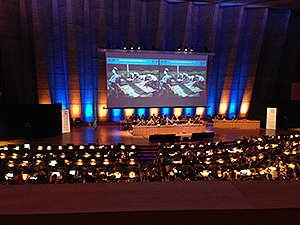 The session will be resumed at the UNESCO headquarters in Paris from October 24th to 26th, 2016, where agenda items are due to be discussed, such as minor boundary modifications of the properties already inscribed on the World Heritage List, including “Sacred Sites and Pilgrimage Routes in the Kii Mountain Range,” and a revision to the Operational Guidelines for the Implementation of the World Heritage Convention. 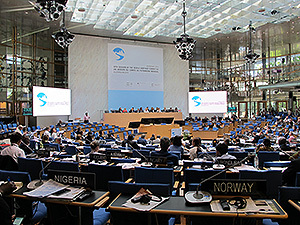 The 39th Session of the World Heritage Committee was held from June 28 to July 8 in Bonn, Germany. Representatives from the National Research Institute for Cultural Properties, Tokyo, attended the session to investigate its trends. Among the 24 properties inscribed on the World Heritage List in the latest session, 23 are cultural sites and one is a mixed (both natural and cultural) site while there is no natural site. By region, 12 are located in Europe or North America while no property is in Africa except Arabic-speaking northern Africa. In this way, disparities between types of properties or between regions have widened. Meanwhile, industrial heritage sites, such as a railway bridge, dock warehouses, factories for articles of export in high demand globally in the early 20th century, such as nitrogen fertilizers and corned beef, were inscribed on the list, increasing the diversity of cultural properties. As for the nomination from Japan, no remarks were made by committee members during deliberations on the inscription of the Sites of Japan’s Meiji Industrial Revolution: Iron and Steel, Shipbuilding and Coal Mining (Japan). After adding a footnote to the decision and adopting it as amended, Japan and South Korea respectively read out their statements on the decision, which was a different procedure from normal. 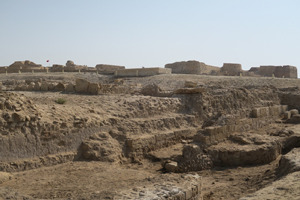 One property was deleted from the List of the World Heritage in Danger, while three sites – Hatra (Iraq), the Old City of Sana’a and the Old Walled City of Shibam (both Yemen) –, were added to the list. 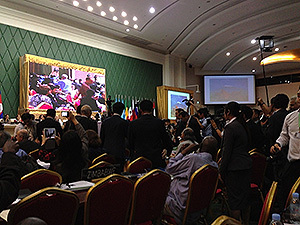 Kathmandu Valley (Nepal), which was affected by a recent major earthquake, was not inscribed on the list because of the necessity to understand the actual conditions and the Nepalese government’s preference for no inscription of the property. Meanwhile, as for recommendations deliberated in the session, there were more dialogues made between the Advisory Bodies and respective States Parties over the contents of their respective recommendations. Advice by the Advisory Bodies became more positive, and no major change was made to advice on recommendations receiving a low evaluation from the Advisory Bodies at the session. 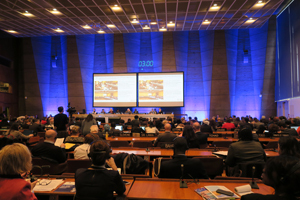 In addition, the upstream process, in which the Advisory Bodies or the World Heritage Centre provide States Parties with technical assistance for drawing up recommendations and other issues at their request, was institutionalized at the session. In this way, support measures for inscription on the World Heritage List were enhanced, but the Centre and Advisory Bodies have pointed out that some States Parties are not utilizing such support. 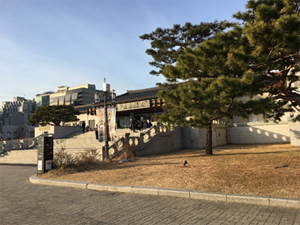 The World Heritage Centre is making efforts to raise its operational efficiency, but there are limitations to such efforts. All States Parties need to realize the fact that their respective cooperation is necessary to maintain the World Heritage framework. The Department of Art Research, Archives, and Information Systems held a seminar on April 21. Entitled “Problems with the World Heritage Committee and Their Solutions: Capitalizing on Those Approaches to Safeguard Cultural Properties under the World Heritage Convention,” the seminar featured a presentation by the author, who has been observing the World Heritage Committee since 2008. In her presentation, the author analyzed what was discussed at Committee sessions. 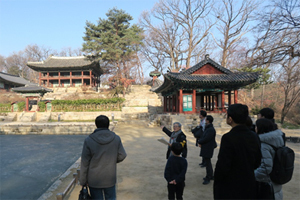 The public is highly interested in World Heritage, and flocks of visitors visit World Heritage sites. Many of the books on World Heritage cover specific heritage sites. In contrast, only a few books in Japanese specifically discuss the World Heritage Committee and related issues. 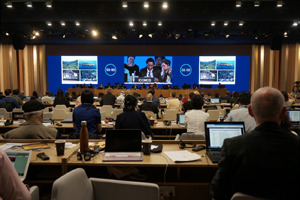 During her presentation, the author described the process from nomination of a site to its inscription on the World Heritage List, and she also explained how sites were considered during Committee sessions. The author described how the Committee Members are chosen from 21 of the State Parties to the Convention and how the Advisory Bodies act as expert advisors to the Committee. 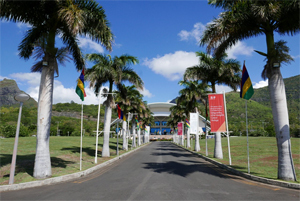 The author also noted the issues facing the UNESCO World Heritage Centre (Secretariat of the World Heritage Committee). 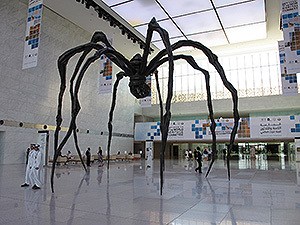 In addition, the author offered her own views on the utility of the World Heritage Convention from her perspective as an expert in safeguarding cultural properties. 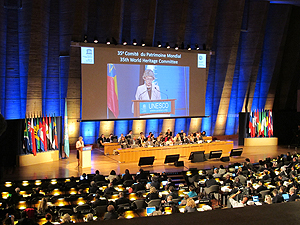 The original role of the World Heritage Convention was to establish a framework to safeguard and preserve cultural heritage and natural heritage for posterity. The nomination dossier nominating a site for inscription on the World Heritage List must describe how the site will be protected. The process of nominating a site for inscription on the World Heritage List involves a process of verifying and improving the framework for protecting that site. This approach facilitates international support for effective protection of the site. Gleaning the tendencies of the World Heritage Committee should allow Japan to more effectively prepare nomination dossiers and reports on the state of conservation of given sites. Thus, Institute personnel plan to study the World Heritage Committee and World Heritage Convention in the future as well. 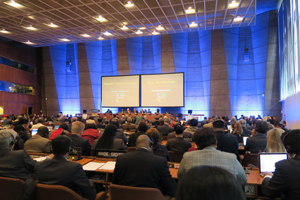 The Ninth Session of the Intergovernmental Committee for the Safeguarding of the Intangible Cultural Heritage was held at UNESCO Headquarters in Paris November 24–28, 2014. The session was attended by 4 personnel from the Institute. These staff members gathered information on the state of the Convention for the Safeguarding of the Intangible Cultural Heritage. 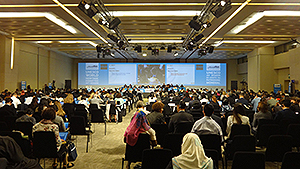 During the session, 34 elements of intangible cultural heritage were inscribed on the Representative List of the Intangible Cultural Heritage of Humanity (the Representative List). The inscribed elements included “Washi, craftsmanship of traditional Japanese hand-made paper.” “Sekishu-Banshi,” which was already inscribed on the Representative List, was joined by “Hon-minoshi” and “Hosokawa-shi.” This was the first time that a State Party had added elements to inscribed intangible cultural heritage. 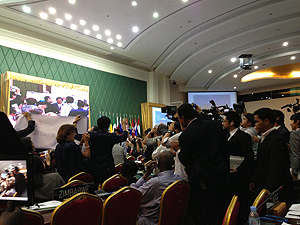 On the day the decision was made, there were numerous Japanese news media at the session. Like the nomination of “Washoku” last year, this year’s nomination also included the word “Wa (which means “Japanese”),” and this may explain the heightened in interest in the nomination. That said, there were instances when State Parties that nominated elements for inscription on the Representative List or that reported on the status of elements inscribed on the Representative List were criticized by other State Parties for including elements of those parties. Indicative of the relations between states, such conflict is probably unavoidable. 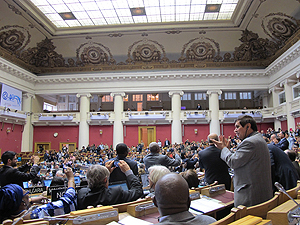 The inscription of an element on the Representative List does not imply exclusivity or ownership of that element by the nominating State Party, and an element need not exhibit originality or uniqueness with respect to similar elements. These facts must be publicized both at home and abroad. 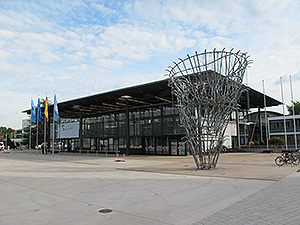 As UNESCO’s Secretariat reported, most of the nomination files that State Parties submitted to propose elements for inscription on the Representative List had missing or incorrect information and had to be sent back to the nominating State Party. This was due to lack of experience with document preparation as well as an imperfect system for documenting intangible cultural heritage that should be protected. State Parties should avoid seeking merely to inscribe an element on the Representative List. Support is needed to create a framework for identification and protection of differing intangible cultural heritage. This is, after all, the initial goal of creating a nomination file. Japan can play a role in providing this support. 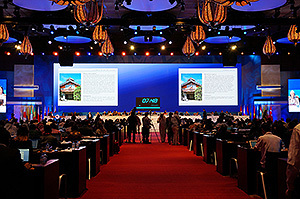 The 38th Session of the World Heritage Committee was held from June 15 to 25 in Doha, the capital of Qatar. 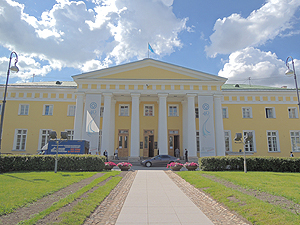 Prior to the session, the Institute analyzed documents regarding the state of conservation of properties on the World Heritage List and documents regarding properties nominated for inscription on the List. 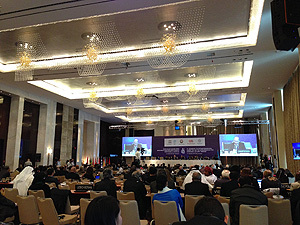 The Institute also gathered information on trends related to world heritage during the session. During the session, 26 sites were added to the World Heritage List, bringing the total number of sites on the List to 1,007. The Okavango Delta (Botswana), the only African site recommended for inscription on the List by the Advisory Bodies, was inscribed on the List and the order of nominations was modified so that the site would be the symbolic 1,000th inscription on the List. The Tomioka Silk Mill and Related Sites that Japan nominated for inscription were discussed. Of the 20 Committee Members not including Japan, 18 expressed approval for the site to be inscribed. Many of the Members cited the mill complex, a site of early modern industry, as evidence of the exchange and amalgamation of the technologies of France and Japan. 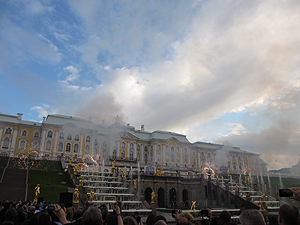 During the session, 3 sites were added to the List of World Heritage in Danger and 1 site was removed. One of the included sites was Palestine: Land of Olives and Vines—Cultural Landscape of Southern Jerusalem, Battir. 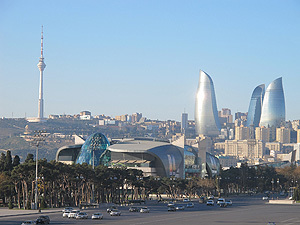 Since the site had been submitted as an emergency nomination, it was automatically inscribed on the List of World Heritage in Danger. Advisory Bodies had recommended that the nomination of 13 sites be deferred, but 8 of these sites were inscribed on the List during the session. One site that was recommended not to be inscribed was inscribed as an emergency nomination and 2 sites that recommended for referral were also inscribed. The prevalence of nomination decisions overturning the recommendations from Advisory Bodies could compromise the Committee’s credibility and transparency. The National Research Institute for Cultural Properties, Tokyo will continue to discern trends regarding Committee sessions. 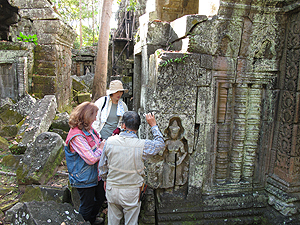 In December 2011, the Institute conducted a field survey of the Angkor Complex. The memorandum of understanding between the Nara National Research Institute for Cultural Properties (Nara Institute) and the Authority for Protection and Management of Angkor and the Region of Siem Reap (APSARA National Authority) was also renewed. Efforts at the Angkor Complex seek to clarify environmental conditions suited to preserving stone monuments. Biodeterioration of stone is a common problem in the area, and different species affect stone surfaces differently. However, few organizations are studying the relationship between the condition of stone and the environment and species of microorganisms, and this includes taxonomic studies. The Institute has been studying the relationship between environmental conditions and species of moss, lichen, and algae that grow on stone to quantitatively and qualitatively evaluate their effect on stone surfaces. The current survey included specialists in the taxonomic study of lichen from Japan and South Korea, and specialists in plant ecology and biodeterioration of cultural property from Italy. The survey was conducted at sites with different environmental conditions such as the Ta Nei Temple which has been previously surveyed, and several other temples like Ta Keo, Ta Phrom and Bayon. Researchers are now analyzing the information obtained from the field survey. Institute researchers have been monitoring the surface conditions of stone samples taken from a nearby quarry and left at Ta Nei and they have been following up on past attempts at conservation efforts. Following the field survey, the Institute renewed a memorandum of understanding with the APSARA National Authority on joint research at the Angkor Complex. Previously, both the Tokyo and Nara Institutes each signed an MOU with the APSARA National Authority, but the current MOU was signed by all three organizations so that the Tokyo and Nara Institutes will be able to cooperate more closely with each other in the same area. 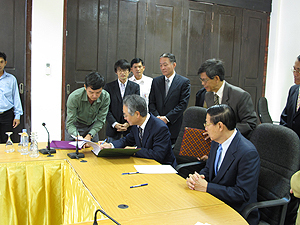 The signing ceremony was held at the Headquarters of the APSARA National Authority in Siem Reap and was attended by Mr. KAMEI Nobuo (the Director General of the Tokyo Institute), Mr. INOUE Kazuto (Deputy Director General of the Nara Institute), and H.E. Bun Narith (President of the APSARA National Authority). 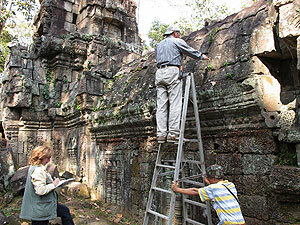 The Institute will study restoration preparations at the West Prasat Top, where repair work is planned.